Of the Kitten Kind: Hardings Fine Food and supporting local business. Hardings Fine Food and supporting local business. I've known Andrew for a few years now. Sadly... or funnily... we met on Myspace whilst discussing politics. I was running for the Greens in a state election and Andrew took notice of a photo of a rather nervous looking me with the amazing Bob Brown. How hilarious. Gordy and I went to Andrew and Kim's beautiful house in Sellicks Beach, an hour south of Adelaide, for dinner and alcoholic beverages on the weekend. Kim made the most beautiful Sri Lankan curries and the next day, Andrew ran over to his parents house and grabbed a packet of his dad's own curry powder. I'm so impressed, I just had to tell you about it. 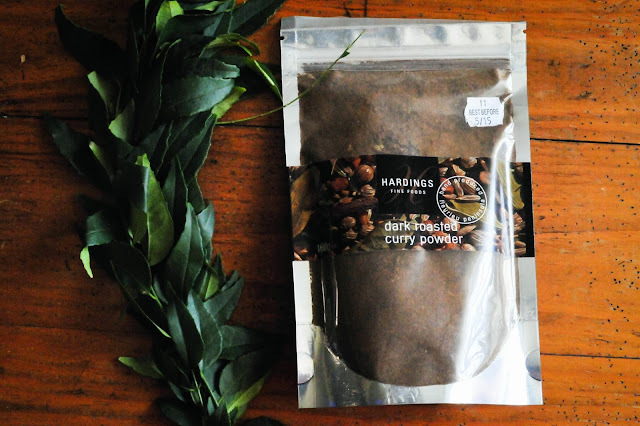 I've had a few items from the Hardings Fine Food range and they have been magic in my mouth. I highly recommend the nut butters and the chutneys. They are absolute magic.